Chelsea defender Papy Djilobodji has reportedly grown frustrated at the Stamford Bridge with the lack of playing time and the tumultuous state of the team at the moment under manager Jose Mourinho and is desperate for a move away before his career is ruined and he is already wanted by Besiktas in January as he heads for a quick exit from Stamford Bridge. 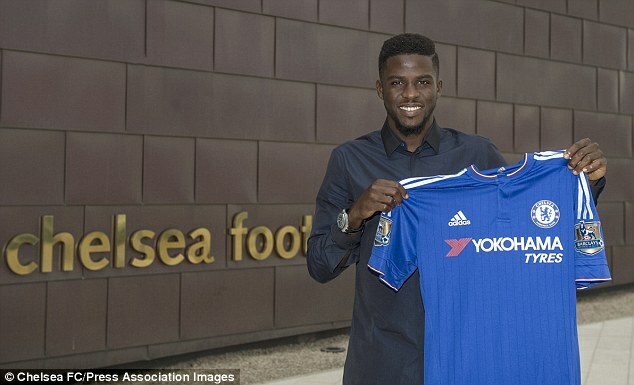 Djilobodji signed a four-year contract with Chelsea in the summer but was left out of their Champions League squad registration and has made just one appearance against Walsall in the Capital One Cup even with the team defenders delivering nothing. Jose Mourinho has also made it clear that the defender was not top of his list of targets in August and the 26-year-old will leave on an initial loan though other clubs have expressed interest too. Chelsea are expected to make a renewed move for Everton’s John Stones in January and this means the chance of the defender featuring for the Blues is still low especially if they also make a move for Paris Saint-Germaine’s centre-back Marquinhos. The Blues are also considered to be firm favourites to sign Bologna’s talented defensive midfielder Amadou Diawara with the 18-year-old being closely watched by Juventus and AC Milan who see similarities in the teenager to Paul Pogba. All of these mean the chances of Papy playing are quite slim and it might be better for him to move away.